He makes his case for why the Bible should be the Most Important Book in your life and the most frequently read. Being a Christian, I agree with all of his points. As a reader, I would have to honestly say that I fail in this area. I don't make the Bible my top priority. I make other books my priority. As a Christian, this should not be so. But it is so. If, as a Christian, I want to read wisely and well then I need to put "all other books" to the side first thing, and start making the Word of God my top priority. I don't want to box myself in with this book, placing a time limit on it. Rather, I just want to read, glean and understand as much as I can. It may take me two months or three or six. I have no idea. A priority needs to be set though and so I'm going to start here - and now. 1. I just love them. 2. I think there is great value in reading them. 3. I think that there is great value in reading them over and over and over again. 1. Why is the Chronicles of Narnia series considered "good" by Christians and yet the Harry Potter series is considered "bad"? 2. What is considered a good use of magic in books and what is considered a bad use? 1. I haven't read Harry Potter yet and so I can't compare. 2. I know that there IS a good use of magic and a bad use in books but I haven't thought out the distinguishing factors for myself just yet. 3. I don't have the foggiest. I would like to read the Harry Potter series this year and think through some of these questions in a great deal more detail. Another problem I face, personally speaking, is spending too much time on the computer. Now, how to solve this one? Janet has discussed the dangers of technology more over at Across the Page and she makes particular arguments about spending time on Facebook which I rather sympathize with. Reading Lit! : A Christian Guide to Reading Books really drove some of the arguments that Janet has been making home to me. I haven't read many books on technology and its effects (sorry, I just can't seem to make myself) but the arguments that Reinke makes in his book about images vs. words and quick bits of information vs. careful, thoughtful sifting of words and information really had an impact on me. I've already significantly decreased my Facebook time. (I think Facebook is a mildly useful tool for keeping in touch with people, but it's heavily overrated. Since most of us are on it "because everyone else is" it might benefit us as a whole if we all agreed to get off!) I don't have the time and space to spell out Reinke's arguments here but I do think that flashing imagines and "soundbites" of information into any variety of people's lives has done me a great disservice when it comes to reading and enjoying books. At the tail end of the 2011 reading year, I was really fighting with myself to sit still and read for a solid hour. (I have roughly 2 hours of reading time available to me a day. But using even one hour was a challenge due to time spent on the computer.) I don't just want to improve that in 2012, I need to. 2. I want to spend time with longer works, with more depth to them. More classics, if you will. I know it will be a challenge for me. I like being able to complete reading challenges for myself and longer books take quite a bit more effort. But I do think it will be worth it. So, I guess it's safe to say that I am hoping to focus on the area of self-discipline in the area of reading: taking time for good books, reading to figure out my own worldview a little bit better and to make Bible reading my top priority. In the meantime, I'm (still) grateful to Crossway Books for shooting a copy of Lit! my way as it has had a wee bit of influence in how I intend to read books in the future. This particular title goes on the shelf for a re-read. I rather expect it could stand to be re-read on a yearly basis, to make certain I'm keeping on track in the priorities department! I need to make some changes in my reading life, too, Carrie. Like you, reading the Bible has not been my top priority, and I have suffered for it. I plan to change that in the new year. I like your plan of reading and re-reading Genesis until you "get" it. ;-). I have a practical question about your blogging practices, which you don't have to answer: does the 2 hours a day include your blogging time? If not, how much time (and more importantly, when?) do you blog? To write a thoughtful review takes me quite a while! WOW! Loved this post. Want to read Lit! even more now. I totally get all that you said. I look forward to your thoughts on HP. I only read the first book. Oh, I like Amy's question. As I have been trying to write real thoughtful reviews of books...they often take over an hour! In addition to Amy's questions, if you choose to answer...does your blogging time include reading others' blogs? I've seen Lit! mentioned a lot of places, and mentioned favorably. so I probably ought to give it a look. Wherever I have seen it discussed or quoted, I tend to think, "Yeah, I agree with that, or have already thought through that, or already do that..." so I haven't been quite as quick to get it when I have so many other books I want to get to. But it would probably be a good one. I had a post on Narnian magic during the Narnia challenge where I wrestled through some of that aspect of things. OK, OK, I must make Lit the first book I read (other than the Bible) in 2012! I, too, desperately want to change the way I read. In 2010, I read well over 100 books. In 2011, I read less than 30. A lot of it has to do with health problems that make it difficult for me to concentrate. But I am woefully unhappy when I can't or don't read. I am a much more satisfied, fulfilled person when I am reading on a regular basis. Thanks for the inspiration to be more self-disciplined, Carrie. Harry Potter huh? ;oD I have read them and I greatly anticipate your reviews! I am going to try and blog more often about what I am reading, as a self discipline and to get my mind out of mama-mode! I am looking forward to this next year. Mary Bailey- I'm so with you there! When I am not reading, I'm generally antsy and unhappy. Must feast on words or else I almost feel like I'm starving to death. I totally get what you are saying! @Amy and Annette - Good questions. I'll answer them in a separate blog post because I could stand to more closely examine where my free time is and how I spend it. Thanks for asking! Great post! I think I may have to add Lit! to the every growing TBR list. 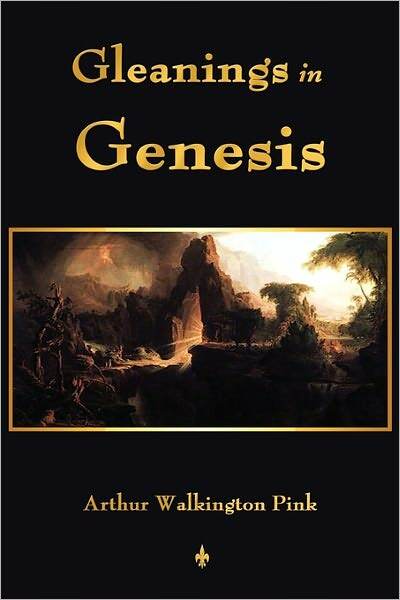 I don't remember how old your kids are but a great resource for Bible Study with kids is Finding Jesus in Genesis...it might go well with your own Genesis studies. We went through it last year with a 4 yr old and 7 yr old. It was a little much for the 4 yr old but such a great resource I'm sure we'll do it again some day. I feel like blogging is different from Facebook. (She smugly says since she's long ago canceled Facebook) I think it's because you have to put a lot more care and time into a long post than you do with the mini flashes of conversation in Facebook. I don't know though. I have seen it used well, so I'm by no means dogmatic. But I AM glad you won't be cutting back too much on blogging. 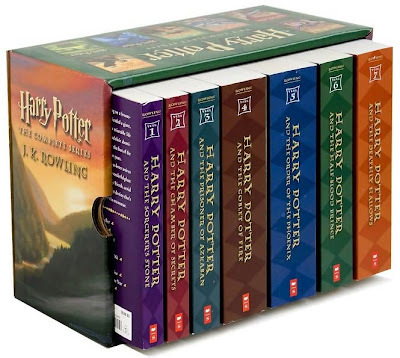 I am SO thrilled you will be reading The Harry Potter series. I'd love to hear your thoughts. I have vague sort of shadowy thoughts about them. I tend to like them (should I say that in public haha) but I'm always open to examining what I read. I also really like the 100, minus your age rule. I do a 50 page rule, but only because that just means if I can't get into it by 50 pages. I close it, but revisit it in a year. If I did the 100, minus age rule, that might mean I would be able to tell that I don't necessarily have to revisit it. I definitely need to re-evaluate my reading priorities. Too many times I choose the novel over the Word. To my shame. I think this might be a year of taking a good hard look at where my spare time really goes but like you I HAVE to read. 1. I cannot imagine having the time to read even 40 books a year. Two hours a day? If only! I aim to replace a TV episode with reading, which is more like a half an hour to an hour after I get the kids in bed. My goal had been to read at least one book a month, but I am averaging more like three, which makes me feel like an overachiever. 2. I think you ought to have Darren and Sara Jones write a guest post on the good and bad use of magic - they have really thought this through. 3. Facebook is useful for those of us who have friends and relatives scattered throughout the country (and the world for that matter), who do not blog. There is no way I could keep up via phone, but can through Facebook. I know it is not as in-depth as I would use for my few closest friends, but it is far better than talking once a year or less. 4. I would modify the 100-your age rule to take into account the length and type of book. Sir Walter Scott requires 50 pages regardless of the reader's age. Some light books are clearly worthless after 5% of their length - which is probably 10 pages. 5. Good for you on the classics. I feel I have less and less time to read obvious fluff these days, and want something that will stick with me. Love the honesty in this post! I found myself nodding my head in agreement many times! I, too, need more discipline in my life when it comes to spending time reading...especially reading HIS Word! I too will soon be the mother of 3 (still have to announce it on my blog! :) ) so I would really like to set some practices into motion...now! I also want to spend more time at the library with my children. We started the year off strong and ended it poorly! All this rambling to say "thank you" for this post, your honesty, and most importantly, this blog! @Tim - Re: Magic. Well, I have to think it through for *myself. * That's sort of the point. Because whatever I think through and decide upon is how I'll approach every single book I read. *insert argument which is essentially preaching to the choir* I can't guest post on stuff I'm not sure about. @Amy at Faithful Journey - WAAAAAAAAA HOOOOOOOOOOOOOO!!!!!!!!!!!!!!!!!!!!!!!!!! Congratulations!!!!!!!!!!! hooray for reading more classics! i can't wait to see more of your reviews. i also look forward to your thoughts on the HP series. i am on book 5 myself, and i am enjoying them so far. i still haven't read all of the narnia series, though. i always get stuck on the voyage of the dawn treader. for some reason i just don't like that story. but i feel that i can't skip it and go to the next one, so i guess i need to discipline myself and just get through it. GREAT post!! I have Lit! sitting on my Kindle, I'm planning to read it *very* soon! I'm working on a "reading plan" for the new year too. I'm trying a new Bible reading plan, which I actually started last week, and I have the Harry Potter books on my list too. I actually read the first one waaayyy back when it was fairly new and my oldest daughter was a toddler, to see what all the controversy was about. We recently went ahead and watched the movies with our kids, so now my oldest daughter (13) and I plan to read them and discuss them. I'll look forward to your thoughts on them! 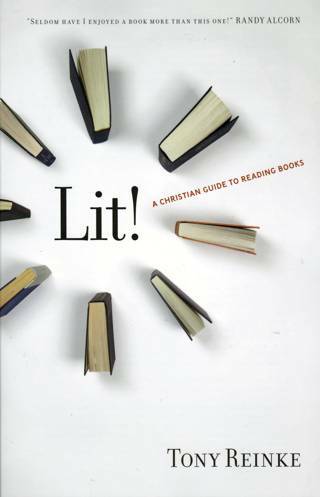 Well, I'm considering using a gift card for Lit! this very moment. What a great post, Carrie. I haven't read any Potter either, and am interested to see what you think. They're on my "long-term" list, but more clamors for my attention. Of course, this English teacher says hurray to reading more classics! This was a fascinating post -- even reading the comments is interesting. About technology -- have you read Hamlet's Blackberry? I'm reading it now. Thanks for the brain fodder today. You can listen to a wonderful interview with the author of this book and with Dr. Rosalie deRosset, professor of communications at Moody Bible Institute on the December 14 edition of Chris Fabry Live. GREAT review, Carrie, and I am tracking right with you. Lit impacted me in similar ways. Just the other day, I was a bit irritated with myself because I was having a hard time just sitting still and reading. My mind was racing all over the place and I couldn't just settle and concentrate. And I do think that those "quick bits" have affected how I read and my ability to "go deep."